Armistice Day 2018 – Rising Stars will Never Forget…. Members of Rising Stars laid a wreath at the Beccles War Memorial to commemorate the 100th Anniversary of the end of World War One. In 2014, Rising Stars marked the centenary of the start of WW1 during their production of ‘Til the Boys Come Home’. The group also wanted to remember the anniversary of Armistice Day by taking part in the annual wreath laying ceremony at the Beccles memorial. 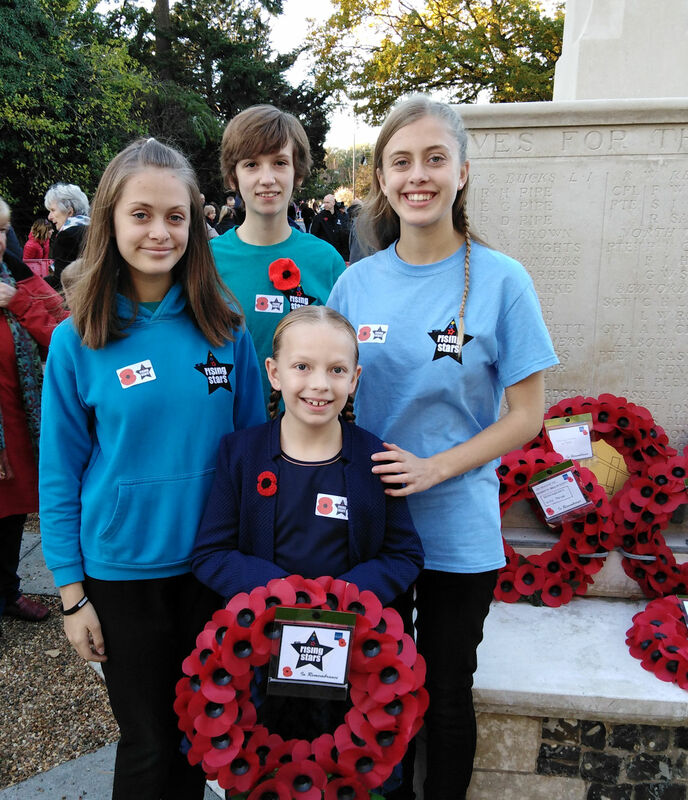 In addition to the wreath-layers, other members of Rising Stars were at the service representing the Sea Cadets, Marine Cadets and Girl Guiding Beccles.